Will Finch explores music from the nature documentary series, Blue Planet II. He examines the role it plays in the on-screen mediation of human and non-human interaction. Will is currently an RMA student representative and a PhD student at the University of Bristol where he studies music on the BBC documentary series, Arena. In 2017 audiences flocked to watch (and listen to) the BBC’s flag-ship nature documentary series Blue Planet II. Five of its seven episodes were among the ten most watched programmes of the year and viewing figures around the world made headlines. It is clear, then, that nature documentaries — especially those fronted by television’s natural leviathan, Sir David Attenborough — continue to offer widely popular programming. Sublime visual spectacles depicting miraculous and compelling stories are fundamental to nature documentaries’ appeal. ‘Epic’ soundtracks, carefully edited field recordings and (in)convincing foley sounds coalesce with such images to organise the communicative and affective impact of series like Blue Planet II. Together these elements mediate a world that can appear alien — magically detached from human experience and effect. One memorable example (see video below) is found four minutes into the third episode of Blue Planet II. A hovering cuttlefish approaches a crab whilst performing a mesmerising light-show that ‘hypnotises’ its prey. Accompanying the cuttlefish are the sonic tropes of extra-terrestrial and paranormal beings. A disjunct theremin melody drifts over shimmering voices and strings, whilst alien sound effects seem to sound from the cuttlefish which is now a creature not of this world but of science fiction. Monbiot is talking about the same earths that trouble those who study the ‘natural’ world’s entanglement with music, art and the humanities. To make a clear distinction between human and non-human worlds — between culture and nature — is flawed. It obscures the fact that humans, their acts and artefacts are as much a part of the ‘natural’ world as the acts of plants/animals and the artefacts of other environments. This separation is indebted to European liberalism and instrumental reason which conceptualise ‘the self’ as atomistic and radically individual. In other words, the separation of human and non-human worlds comes from a position “which views things in the world as impediments or controllable expedients to the maximization of human self-interest” (Edwards, in Current Directions in Ecomusicology, 2015). Prioritising human prosperity has had many, often unintended, consequences, including human driven climate change (or to use the more consequential term Klimakatastrophe) and anthropogenic mass extinction. Humanity’s control (and destruction) of the ‘natural’ world is most often understood and realised through science and industry. But cultural activity is also a major force driving and communicating human impact on the non-human world. “science cannot by itself fathom the sources of the crisis it has identified, for the sources lie not in the nature that scientists study but in the human nature and, especially, in the human culture that historians and other humanists have made their study” (Worster, The Wealth of Nature, 1994). Two days before Blue Planet II was broadcast, BBC Earth released a five-minute trailer for the series. The music featured in the promotional preview, ‘(Ocean) bloom’, combines Hans Zimmer’s ‘cinematic’ orchestration with a solo performed by Radiohead’s lead singer Thom Yorke. The composition engages with the cultural/natural dichotomy in interesting ways, some of which I explore below. Using lyrics ensures that culture (especially of the core-anglosphere) is part of the audience’s experience of the ‘natural’ world. The symantic content of the song concerns a symbiotic relationship with a ‘jaw-dropping’ ocean, an interpretation perhaps contradicted by the dominance of the voice in the mix and its emphatic tone which are hard to not hear as masterful. The cultural/natural dichotomy is also apparent in the composition’s orchestral part. In a ‘behind the scenes’ video Zimmer and producer Russell Emanuel explain an aleatoric component of the so called ‘tidal orchestra’, which requires musicians to exchange notes in imitation of the ocean’s movement (See Vox’s video). Attempting to musically emulate the ‘natural’ world suggests a desire to produce a soundtrack ‘aware’ of its subject and candidly indebted to the world from which it draws. In contrast, other media surrounding ‘(Ocean) bloom’ foregrounds the composition’s connection to cultural luminaries. In another video documenting the recording process in Vienna, Jacob Shea (employed by Zimmer’s production company) ties Blue Planet II’s score to “the great classical tradition that came out of this town.” The film reinforces this by incorporating statues of Mozart and Beethoven. 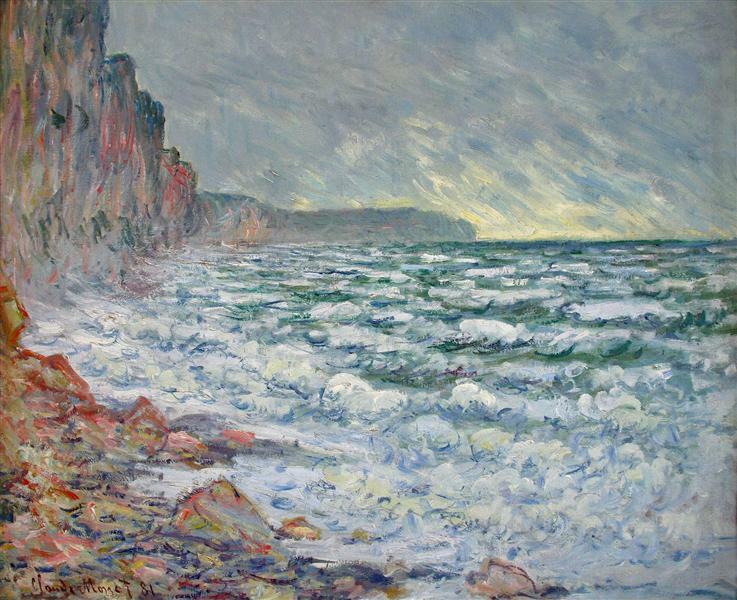 Similarly, Zimmer characterises the small phrases that constitute his score as a form of pointillism and Emanuel suggests they are inspired by the brushstrokes of “Claude Monet.” Zimmer, Shea and Emanuel foreground not the impact of ‘nature’ on this ‘organic’ approach to composition but the impact of venerable European cultures, notably, the same cultures on which the human/non-human dichotomy was built. ‘(Ocean) bloom’, then, tacitly and openly exhibits the tension between culture and nature. 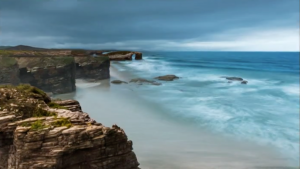 The intended effect of this is easy to see; throughout ‘(Ocean) bloom’s’ promotional material, Yorke and Zimmer both express their interest to encourage audiences to understand the ‘natural’ world and our impact on it. The resultant effects are harder to find. In some respects the song and the series succeeded in this sentiment. Devoting part of each episode to highlighting the consequences of human activity (complete with appropriately affecting music), Blue Planet II helped promote plastic pollution to the top of social and political agendas around the world. Indeed, the series is the latest part in the development of the popular nature documentaries which increasingly recognise their contribution to the perceptions of human and non-human interaction. In other respects ’(Ocean) bloom’ is but a small and by no means unproblematic part of a ceaseless venture to communicate and realise a sustainable approach to human/non-human interrelations. Crucial to this venture is our understanding of anthropogenic ecological disasters which should be bolstered (not subordinated) by the pageantry of ‘pristine wilderness’ and ‘exotic’ animals. Music’s promotional influence, its affecting capacities, and its contribution to the audio-visual acquisition of knowledge all play vital roles in managing this balance and should be treated carefully by both television practitioners and ecologically minded musicologists.